The Maui Ocean Center in Wailuku recently opened its new Humpbacks of Hawaii Exhibit & Sphere experience. The visionary exhibit debuted on February 10 and is already attracting many astonished visitors. It is an entirely unique, virtual underwater experience that takes you beneath the surface and into the mystical world of the seemingly magical humpback whales, kohola in the Hawaiian language, that migrate to Hawaiian waters every winter. The exhibit integrates several state of the art audio and visual technologies to provide an almost surreal undersea experience. With active 3D glasses, 4K definition, and space-age surround sound, the spherical exhibit is the first of its kind in Hawaii. World experts in science, technology, filming, and audio engineering collaborated on the Humpbacks of Hawaii Exhibit & Sphere. It was created over two humpback seasons in Hawaii. The result is spectacular. An exuberant humpback whale off of Maui. Maui is a favorite destination of world travelers for countless reasons. Haleakala Crater, the Road to Hana, and the beaches at Kaanapali attract millions each year. 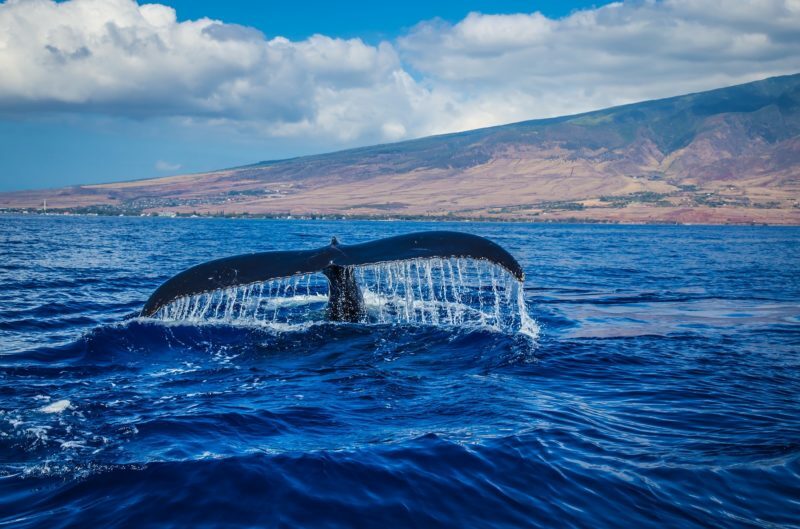 Humpback whale season is a major attraction as well, with numerous whale-watching tours launching from Maui harbors between November and March. Even just a glimpse of a single humpback whale calf breaching the surface becomes a lifetime memory. Until now, only a small handful of dedicated filmmakers and scientists were able to experience the largely unknown submarine world of the humpback whale. The Humpbacks of Hawaii Exhibit & Sphere changes all of that. Visitors are serenaded by haunting whale calls and get eye-to-eye in high definition 3D with the gentle giants. 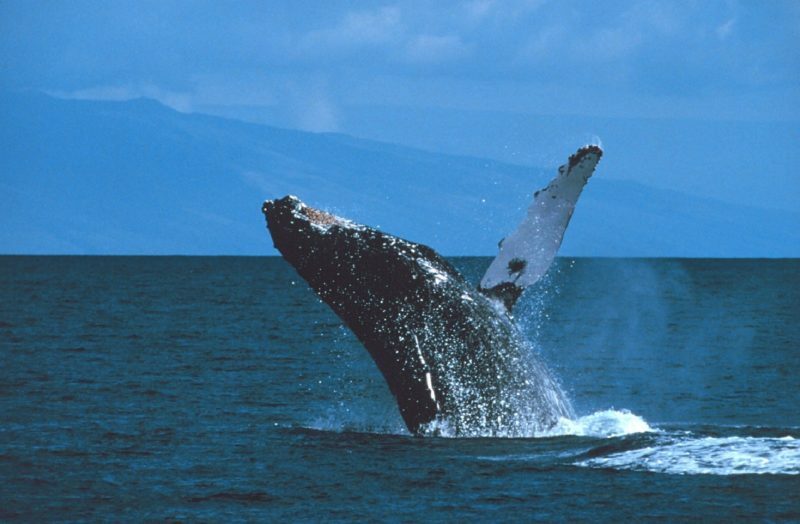 Humpback whale season is a boon for Maui tourism every year. It is also a chance for scientists to study the creatures and better learn how to protect the species. Humpbacks faced the brink of extinction not long ago. Their numbers have seen a steady increase in recent decades due in large part to the work of scientists in Hawaii, and on Maui in particular. Annual whale counts are coordinated by the NOAA and other organizations, enlisting the public’s help in tracking the number of whales in Hawaii waters. A whopping 774 whales were spotted off of Maui alone during the February 23 whale count from 12 locations. 612 volunteers across the Aloha State participated. Maui’s whaling history is rich, but its early success led to the decimation of the humpback whale population in Hawaiian waters. It is fitting that the science being conducted in Maui waters has led to the creation of sanctuary areas and the recovery of humpback whale numbers. The Maui Ocean Center Humpbacks of Hawaii Exhibit & Sphere is the result of the public’s continuing appreciation and marvel for the graceful leviathans. It is a combination of cutting-edge science and technology. It is also an immersive audio/visual cinematic experience that no visitor will forget. With Maui Ocean Center’s newest addition, visitors no longer need to wait for the whales to arrive to experience them up close. Even when the kohola are feeding in frigid waters thousands of miles away, visitors can “swim” with them and hear their ethereal song all year long.